He came, he created a mighty stir, he did his thing regardless, he left — apparently to come back again more frequently. This was Asif Ali Zardari, the president of Pakistan, who was in Lahore last week — the first time in over two years in Punjab and only the third time in the nearly five years he has been president that he was in the country’s second largest city. Zaineb Siddiqui’s work at Rohtas 2 was both expected and unexpected. Though the two readings of the same work sound contradictory, if analysed, they do hold a segment of truth and logic. 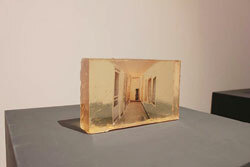 In her exhibition ‘Ways of Deceiving’ (Feb 7-16, 2013), Siddiqui has shown two large pieces installed against windows in the gallery space, along with small stylised pieces rendered on tracing sheets and encased in polyester resin. The two kinds of works initially look different but are connected on various levels. The first step for any scholar or researcher is to collect the required data. 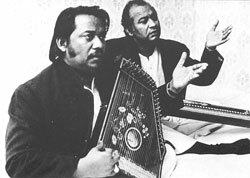 Documentation precedes analysis and this is what Masood Akhter Sheikh had set out to do — document music and the contributions of musicians in Pakistan. Fazal Rizvi, a graduate from the National College of Arts two years ago initiated the ‘Chalo Chalo Lahore chalo Project’ (Let’s Go to Lahore). 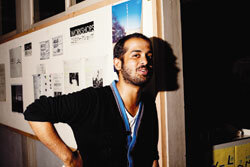 He also worked at the Zahoor ul Ikhlaq gallery for a year and is currently working for his solo show. The project celebrates the history and culture of Lahore, mapping the city. The group uses psycho-geographic mapping to capture various perspectives and opinions on Lahore. The News on Sunday: How did you come up with the idea for the project? Fazal Rizvi: I’m originally not from Lahore. I was born and grew up in Karachi and came to Lahore when I came to NCA for my undergrad. Since then I’ve been falling love with the city and what it has to offer in terms of history and culture. When you think of Lahore your mind automatically goes into the past, it seems to have a very glorious past that people tend to celebrate. The present day Lahore has really changed and it’s not been what it used to be and that’s what I was thinking about. There’s this quote that goes “jiney lahore nahi wikheya o jamaya nai” that’s where the idea began. I started questioning the quote, who said this, when they said it and in what context. So what was the fuss all about? For those who are tuned into the minutiae of Pakistani politics it was hard not to see the significance of the visit, the objective behind it and the likely implications. 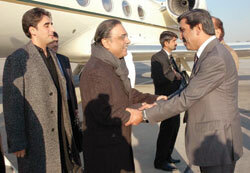 Zardari, who is also the co-chairman of the Pakistan People’s Party, was in Lahore for house-warming as well ‘party-warming’. He has a spanking new house, reportedly sprawling over 200 kanals in the picturesque Bahria Town that comes complete with a heli-pad, guest-quarters that can house 30, an office that can staff 80 and a meeting hall that can gather over 300. The ‘house’ — which is reportedly valued at Rs5 billion at market rates but has not cost the president a penny having being gifted by trillionaire Malik Riaz — is really a thinly disguised headquarters for the PPP in Punjab. It is a fortified property that is not just bullet proof but can reportedly withstand a bombing of 150kg of explosives. Clearly it’s been designed to make it secure enough to host a security-paranoid Zardari and Bilawal Bhutto for extended periods and frequently. It thus becomes one of only five properties Zardari has brought himself (and his children) to spend a private night in Pakistan. The other four are the President House in Islamabad, the Bilawal House in Karachi, the Zardari House in his hometown Nawabshah and the ancestral Bhutto house in Garhi Khuda Bakhsh in Larkana. So now that he has a place of his own to stay in Lahore and work, what is he going to do? Clearly he has spent some time thinking about this: the house took about 15 months to build so he had planned this at least two years ago. The Governor House in Lahore has hitherto substituted as the de facto headquarters for the PPP for the past five years. First Salman Taseer and then Latif Khosa had allowed the use of the Governor House to conduct political activities safe from the less-than-covert harassment of the Chief Minister House run by the PPP’s biggest political opponents — the Sharifs of Pakistan Muslim League-N. However, three things have necessitated the shifting of the make-shift PPP headquarters to a formal place. The first is the rapid countdown to the completion of tenures of the current national and provincial legislatures — which will expire in less than four weeks now; the second is the looming elections that will need a full-time functional headquarter to run the all-critical campaign in Punjab; and the third, a growing pressure from political rivals and a hostile judiciary that both seek to pressure the PPP by challenging them on procedural and legal grounds and tightening the noose around a president-in-office in desperate need of defiant politics. Clearly, staying on at the Governor House was not going to offer the PPP the comfort, the capacity and the collateral needed to mount a serious election strategy for Punjab. Hence, the Bilawal House Lahore Edition. And don’t the political rivals know it! They sense a greater focus and more serious attempt by the PPP to not just arrest its drift in Punjab and close the ranks for battle but to focus attention and energy of the top leadership of the party in the province at the hustings. The new PPP headquarters in Lahore also allows the president to get involved in politics in ostensibly a “private” capacity — out of the remits of the President House and Governor House — because he is facing legal proceedings in the Lahore High Court in a petition that seeks to bar him from indulging in politics as long as he is head of state and widely expected to demonstrate neutrality. Being in Bilawal House Lahore will allow him — just like in the case of Bilawal House Karachi — to project a private life in non-official space where he can serve out his co-chairpersonship of the party. The bottomline is that the PPP needs to gear up to mount a serious fight for Punjab — which sends 148 members to the National Assembly out of the 342 from across Pakistan. The maths for PPP is, therefore, simple. If they want to return to power again, they — or any other party or alliance for that matter — need to win 172 of these seats as simple majority. For this they will have to battle the giant in Punjab — PML-N of the Sharifs, rejuvenated by their stint in provincial power between 2008 and now. For the PPP, to not just ensure a big enough tally in the National Assembly to cobble together a simple majority with its allies but also make a serious attempt to capture power in the provincial assembly as well, all roads lead through Punjab. According to the Election Commission of Pakistan website, in the 2008 elections, the PPP won the largest share of votes in the National Assembly (10.60 million or 30.6percent of the total popular vote as compared to 6.78 million or 19.6percent of PML-N) for 121 seats (compared with 91 of PML-N) of which 94 were directly elected, 23 reserved seats for women and 4 reserved for minorities (compared with 71 directly elected seats, 17 reserved seats for women and 3 reserved seats for minorities). In the National Assembly, Punjab has a total of 148 seats. In the 2008 elections, PML-N won a total of 61 of these seats with 6.02 million votes, PPP 43 seats with 5.94 million votes and PML-Q 29 seats with 6.07 million votes. The Punjab Assembly has a total of 371 seats. In the 2008 elections PML-N won 171 of these seats, PPP 107 seats and PML-Q 84 seats. Despite the general perception about poor governance of the PPP government, the party feels it actually stands a real chance in Punjab for the first time to occupy the office of the Chief Minister in over 40 years. It has successfully managed to raise the issue of division of Punjab into at least two provinces, if not three and feels there’s enough traction among voters in South Punjab region to not just retain its tally of 43 seats from Punjab but with some tact and luck (thanks to Imran Khan chomping at the vote bank of PML-N with Jamaat-e-Islami set to join in) even improve it to around 60. Zardari and his aides feel that in Punjab the voter will judge based on PML-N’s performance at the provincial level, not PPP’s performance at the national level. Its calculation is based on the fact that while PML-N grabbed 18 more seats than it did in the National Assembly than it, the negative differential in the PPP share of vote was negligible — 5.94 million to PML-N’s 6.02 million. The work for PPP is cut out: build a visible, grand base in Lahore, smack in the centre of the stronghold of its enemy and start projecting the right optics of a political giant at work while speeding up electoral strategies, tactics, adjustments and alliances. And increase the visibility of the father-and-son duo in charge of a party that has come to power five time out of the eight elections that have been held in the country’s history. Expect more frequent and longer-duration stays of Zardari and Chairman Bilawal Bhutto at the Bilawal House in Lahore in the coming days. This is not a party that intends to any longer keep a low profile. Its stance of passive-aggressive is all set to shift into aggressive-aggressive for the largest prize in Pakistan’s electoral politics: Punjab. The PPP has clearly made arrangements to fight a big fight in the Land of Five Rivers as soon as the buggles for elections sound out. 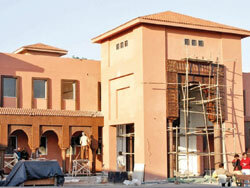 A spanking new Bilawal House. Both type of art works deal with the idea of space and how the experience of a location can be stored in memory. However, before taking an actual encounter or a visible experience to its eternal rest place — the memory — there are several other stages where it is kept, cultivated and corrected. Art is one of the means to perform that task; since the short story, poem, song, play, picture or movie serves to preserve man’s experience as well as his fantasy, imagination and aspiration in tangible or transient formats. Thus all works of art are in a way the manifestation of memory, because these contain element of reality (both outside and inner) and how these are deposited in one’s mind. Thus one can describe art-making as some sort of collective recalling or sharing dreams. The difference between dream and actuality, usually a question for psychologists and philosophers, is relevant to art makers also. The slight distance between art and reality, which concerns renowned philosopher and art critic Arthur C. Danto, could be understood in another manner through an anecdote from Tazkara-e-Ghousia (as quoted by Intizar Hussain in the introduction of his collection of short stories). According to this fable, a man was anxious to lose his identity; so in order to retain and remember it, he used to tie a red ribbon to his neck. Once while sleeping, another man opened the knot, took the coloured cloth, and wrapped it round his own neck. After he woke up, he was utterly confused about his identity: questioning whether he was that person who was wearing the red piece of fabric. If so, then who was he [referring to himself]; and if he was the same person without the red fabric (necessary for his identity), then who was the other individual with red piece in his neck! This game of switching identities is a favourite pursuit for art critics, theorists and artists belonging to contemporary times. Only because after a long history of replicating reality, in every possible method and scheme, the artists have finally arrived — either to discard reality, or to reproduce it to such an extent that instead of representing it, they prefer to ‘present’ it as art. Beginning from Marcel Duchamp’s Fountain (1917) and In Advance of a Broken Arm (1915) to Andy Warhol’s Brillo Box (1964), the artists have recreated rather rearranged materials from life inside the gallery and in the context of art. To the extent that for a trained eye or an ordinary viewer, the apparent distinction between art and life diminishes, unless the artist selects something, displays it and claims it to be ‘art’. Zaineb Siddiqui has not gone that far but, in her work, one can detect the surge to map boundaries between art and life, or reality and its representation. Hence, in her two works, the artist recreates views of windows on two transparent sheets and places them against their respective windows in the gallery. The size, scene and colour of what could originally be viewed and what was fabricated were in absolutely harmony so, in a sense, the spectator was invited to look at the work of art, ‘in place’ of a section from the interior of gallery. Interestingly, Siddiqui has chosen an image that suggests the inside space, with installed lights and details of works on the walls, all usually reflected in the glass panes of those windows. So, one was supposed to be confused with the reality and its imitation, or was instructed towards the function of art being a screen through which reality is perceived and projected. But, in comparison to other art works, in which the maker’s personality and perception play an important part in transforming the visual material, in the ‘Ways of Deceiving’ the artist seems to have negated her presence and point of view to be the dominant force and factor in deciding the pictorial aspects. This position was a difficult one to opt and thus it appears as a surprise. But when it comes to her other works from the exhibition, the clarity and unusualness of her art practice somehow fades away. Along with the large panels of windows, a number of smaller works contain objects which correspond with the shapes of kite, lamp, dressing table, iron, open pages of a book and two corridors but stylised and simplified, in between tablets/blocks of resin. These pieces resemble invaluable or ancient artefacts unearthed from archaeological sites. 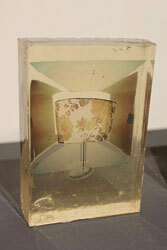 What is inserted inside these barely translucent bodies are a series of domestic items, such as the image of a lamp, outline of iron, form of a kite and pages of an open book. Seemingly, ordinary products, these are treated as precious and pretty, by enclosing them in the liquid-like substance that, besides serving as frame, bestows a certain timelessness to them. However, these art works move away from her original premise of substituting art for life and vice versa, since these appear to be compromises in making objects which could be handled conveniently in every sense of the word. Items, which could be comprehended, appreciated, identified with and collected easily by regular viewers. This shift in her position for a conveniently-constructed and understood version of work was expected, and creates a contradiction within the artist’s frame of thought. Mainly because Siddiqui is making spaces, part of interiors, and domestic items but if the work is about merely successful fabrication of products, it would reduce its scope and limit its conceptual reasons. On the other hand, if the artist has the capacity and courage to pursue profound ideas through her form, her art will have a life of its own, even though it could challenge our notions of life and art. The difference between the two could become mere formal or formality! 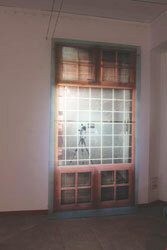 ‘Corridor II’; Inkjet printing on transparency sheet and polyester resin. ‘Object I’; Inkjet printing on transparency sheet and polyester resin. ‘Window I’; Vinyl print on glass. In Pakistan, where the tradition of scholarship and serious research is overlaid by passionate advocacy, the argument is often short on facts. Rhetoric shapes precedence over all else, and in music where the tradition has essentially been oral, its scholarship and serious research of anecdotes, legends, stories and incidents borders on the miraculous. The necessity of story telling and the compulsion of the dramatic narrative have overshadowed hard-core analysis and a systematic treatment of facts. The marked oral characteristic has worked well for music but not that well for the scholarship of music. Sheikh, a scholar with a serious bent, was keen in collecting and documenting music and musicians across the length and breadth of the country including the collection of rare and precious manuscripts. There have been only one or two attempts at compiling the Who’s Who of music in the country but these have been patchy and full of errors. It has not been done by hands familiar with the craft and minds trained at overseeing an enterprise. This Who’s Who is seminal in nature because it was done by a person who was well versed in this field and had painstakingly worked for years poring over and fussing about the accuracy of details. It is an overarching directory of musicians, irrespective of the genre, for in it is classical vocalists and those who have warmed up the hearts across the far and wide of the country through lok geets. An effort had been made to make it as comprehensive as possible and to serve as the first stepping stone for those wanting to climb the ladder of further research in this area. There are and were many forms of music. Since the region was the centre of musical expression from the earliest recorded history, the classical tradition had been established and formed the ultimate benchmark of high musical expression. This is not to say that the other forms initially less respected were not in vogue. There have been forms and forms, and these have changed musical content with the changing taste of music. The musical expectation, too, has changed over time and new forms replaced the older forms with the passage of time. Similarly the musical expression has been both vocal and instrumental and many of the instruments that were played about fifty years ago have either disappeared or are in the process of disappearing. The great exponents of these instruments too have only become footnotes in history or are remembered fondly by music historians. It was important to make this Who’s Who comprehensive, covering all genres of music, classical and folk, popular and elitist, niche and mainstream, pure and eclectic, local and imported, vocal and instrumental. The list, of 544 vocalists and instrumentalists, with brief description of the contribution of the artist, has been made in an alphabetical order. Sheikh on the whole lived a full life indulging his first love music which took precedence over all else. 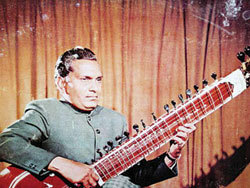 Classical Music Research Cell conceived by none other than Faiz Ahmed Faiz was set up in 1976 with the idea of focusing on the immense contribution of the Muslim Musicians to the evolution and development of music, particularly the more serious classical forms in the subcontinent. This resource centre was to serve as a nucleus for research, scholarship and a reference point for the growth and development of music. Who’s Who could be seen as a continuation of the same work. Sheikh was responsible for the day to day running of Music Research Cell and stuck it out with the organisation, despite conditions being far from ideal because of his commitment to the cause of music. Brought up in the culture of the walled city, as it thrived during the first half of the twentieth century, he was too keen to revive the glory of a tradition that he was once a witness to. Working on a puny stipend for more than twenty years, Sheikh earned his job satisfaction by not letting the collection from being squandered. On the contrary, he built painstakingly whatever he could within those meagre resources. After retirement from the Cell, Sheikh moved to England to be with his daughters and grandchildren. In England, however, Sheikh did not merely rest on his past laurels and idle away his time, but exposed himself to a treasure trove of music available in the various collections and libraries of sound. He was, as if, given a new lease of life by going through the archives of these voluminous collections. All his life, Sheikh had struggled against all kinds of odds, including a piddling salary and non-existent financial or material resources for doing the work for which the Cell was established, but in England he had the freedom to continue with his unfinished work. Actually most of the work had been done in Pakistan; only the last push was required for completion. Writers and researchers know how difficult this final push is. The environment and the material in plenty must have given him the zest to complete his work. Sheikh’s lifelong effort came to light with his works being published posthumously by his grandson. While living in London with his grandfather, Aamir Ahmed too seemed to have got sufficiently infected by his grandfather’s passion for music. It would have been so much better if the work had been published during his lifetime. I wanted to know if one can still say the same thing about the city, with how it has evolved. The idea was to explore the city and what it has become in reference to its past. TNS: How do you think Old Lahore reconciles with the new aspects of the city? F.R: There is actually little reconciliation between the two and I feel there is more of alienation. Most of the people that I interact with don’t visit the older parts of the city, and when they do so it is with the intent of rediscovering the past. When people make an effort to go there they are looking through an experience from the past when they go to old Lahore and walk through the street. The funny thing is a lot of times I’ve seen more of Lahore than most ‘Lahoris’. TNS: Do you think being from outside the city has given you a different perspective? F.R: I already had a romanticised image in my head of Lahore which has grown over time. Being an outsider, I was more drawn to what the city is about and where it came from. Also going to an arts school I was more connected to all this, which also nurtured my curiosity. TNS: How did you put together this group of people? F.R: I already knew most of the people and knew that they would be able to understand the idea and look at the city in this way. Then I also felt it was important to have someone from India, especially Delhi since the story of the cities is similar and there has been a lot of migration between them, thus I invited Surbhi Dewan to be a part of the project. Then some people also joined later when they heard about the idea and seemed interested. TNS: Who’s involved the project and what kind of a reaction did you get when you talked to people about the project? F.R: The people involved in the project are Rabbya Naseer, Hira Nabi, Ayesha Jatoi, Saira Ansari, Awais Azhar, Nashmia Haroon, Rehan Bashir, Sahyr Syed, Zara Asghar, Madyha Leghari. These are mostly people that I contacted myself, then there is Surbhi Dewan from India,Qasim Riza Shaheen from the United Kingdom. Then there is Haseeb Ahmed from the Netherlands; he found out about the project online and contacted me since he wanted to be a part of it. He himself has never been to Pakistan or Lahore but his parents belong to the city, which is why he was very keen about the project. TNS: How do you map the area and what have you done so far? F.R. : We’ve organised two walks so far. The first one was from Loh temple to Lahori gate, due to the symbolic significance of the area. Lahore was named after Loh who was the son of Sita, so we decided to start from there. The basic purpose of the walk was to psycho-geographically map the area. It is a technique introduced by Guy Debord in 1955 and involves the act of derive, which is to walk through an urban environment without any preconceived notions. So we had decided the beginning and end but had not decided the route to get there. We started from one point and everyone took their own route. We tried to experience something in a new and different way. That was the idea of the first walk. The second walk was about mapping the Rapid Transit, mapping the BRTS. This did not involve psycho-geographic mapping since the route was already determined but we wanted to do this because there has been so much controversy around this project in terms of design and specification. Everyone’s been sitting in their drawing rooms and criticising it so we thought we go out and experience the whole thing ourselves. We wanted to go on site and see what was happening. An interesting thing was we had a bunch of sociology students from LUMS who had joined us and were interested in how the system would be implemented. So now we actually want to go back to the site with them and speak to people to see how the system has affected the lives of the people living there. TNS: How will you share what you have collected so far with the public? F.S: I will be putting it up the things that people collect on the website. Another thing that is coming up is that we are working on something for the Lahore Literary Festival. It includes some sound pieces, the artists are working on it. This will be the first time that we display our work to the public in this way. TNS: How would you describe Lahore? F.S: It’s a city that is dealing with a lot of fundamental changes at this point. Another very interesting thing about the city is that I’ve seen the most amount of environmental activism in Lahore. There is the Lahore Bachao Tehrik, Lahore Project, where people are concerned about the city and are actively doing something about it.